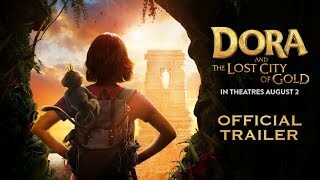 Dora and the Lost City of Gold release date is set for Wednesday, July 31, 2019. This will be a Nationwide in theaters release. Based on the Nickelodeon animated series created by Chris Gifford, Valerie Walsh, and Eric Weiner. This will be a live-action feature film. The film is being supported by the Queensland Government via Screenland Queensland. Eugenio Derbez (Overboard, Instructions Not Included, How to Be A Latin Lover) plays Alejandro, a mysterious jungle inhabitant who tries to protect the teenagers from the marauders. The film will be shot entirely in Australia’s Gold Coast, in the state of Queensland on the continent’s east coast south of Brisbane (8/11/18). 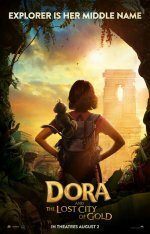 The production will utilize Queensland’s diverse landscape, notably tropical forests near Tamborine Mountain and Tallebudgera, to portray Dora’s jungle habitat.